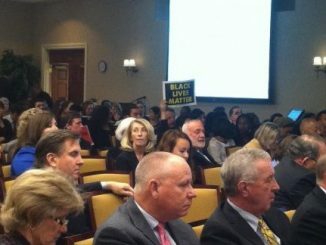 UNC Trustees delay a decision on renaming Saunders Hall. Gov. 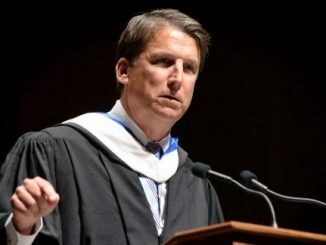 McCrory’s proposed budget cuts UNC funding. After Sweet 16 losses, the men’s and women’s basketball teams look ahead. UNC joins the food kiosk craze. Though vinyl records aren’t nearly as popular as they once were, one shop in Carrboro allows people to make their own. Carolina Dining Services has partnered with the ice cream shop to add UNC’s first long-term food kiosk to the center of campus. Smaller traditional churches are losing younger members to large megachurches like Elevation Church in the Charlotte area. The Governor’s proposed budget will cut even more funds from universities across the UNC system. At their Wednesday meeting, the Board of Trustees hosted eight group representatives to voice their opinions about the future of Saunders Hall. Zeta Tau Alpha Sorority hosted its annual 5k run to raise money for breast cancer research. In a UNC speech, Comcast’s Executive Vice Preisdent criticizes the FCC’s new net neutrality rules. With several returning players, fans are thinking ahead to next basketball season. But the team isn’t looking ahead yet. UNC was unable to hold a second half lead, and fell 79-72 in the NCAA West Region semifinal.